When a new job is commenced, terms of trade should always be sent to establish the terms of the contracted work and protect your company should anything go wrong. Fergus will let you know if terms of trade have not yet been sent on any jobs. 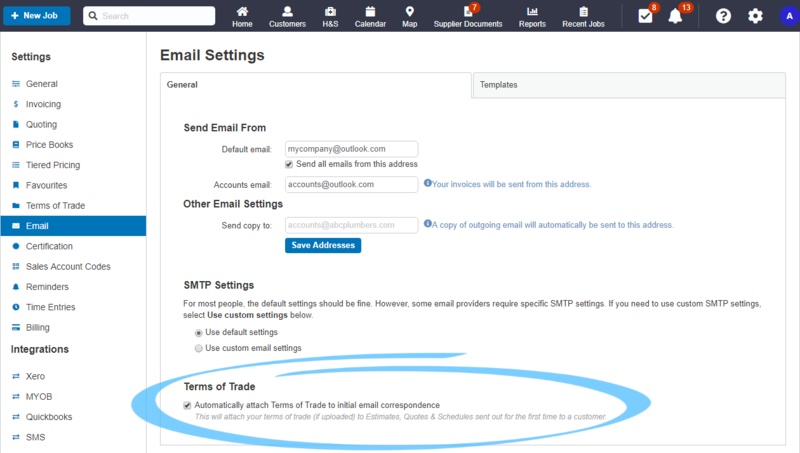 Hop on over to ⚙ Settings > Terms of Trade and follow the upload instructions.